Staff Spotlight is a new blog series, which will feature various members of the ASC staff. 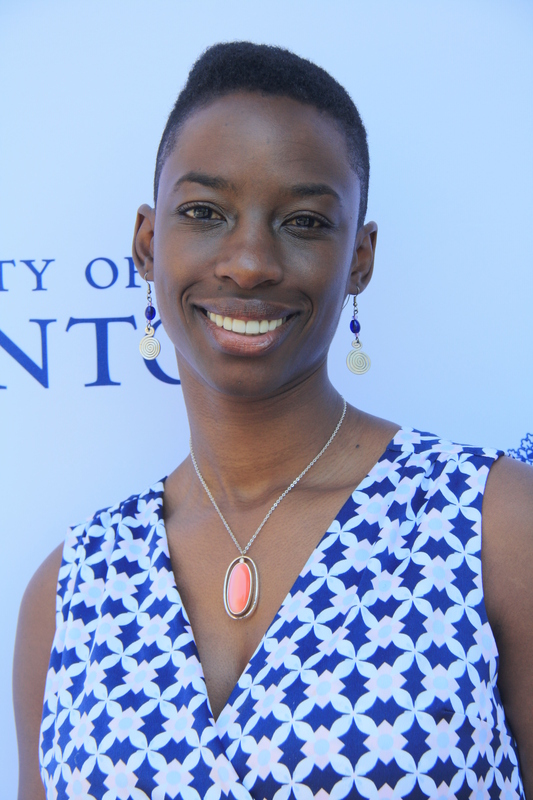 This week, Janelle Joseph talks about her role as a Learning Strategist at the Academic Success Centre and as an Adjunct Professor at U of T. Read her full bio here. What does a Learning Strategist do? What is your role at the ASC? It’s a complicated role and that’s why I love it. I like to say that I help students with every aspect of their academic success, except for the course content. In order to be successful, regardless of whether you are an engineering student or a history major, you need to be able to manage your time. You need to be able to present cogent arguments whether that’s in writing, in a presentation, or in a poster. You need to be able to do some level of research whether that’s a literature review or going out and doing fieldwork or something in a lab. So, I help students to organize their time, organize their thoughts, think about how to manage their stress and anxiety, how to take good notes so they can actually use those notes for studying purposes later, how to build up their confidence. For so many students that I see, the underlying issue under everything is a lack of confidence and a belief that they can achieve. I feel like I’m one part coach, one part counsellor, one part academic advisor. I get students to sit back and think about how they can help themselves, how they can organize themselves. I believe that every student has the solution within them. It’s not for me to necessarily advise or give them direction; it’s just for me to guide and for them to find the solution themselves. You have been an Academic programmer at Western; you have taught English as a second language in Taiwan; and you have studied in New Zealand, at UOIT, and at U of T. You have a variety of experiences. How did these experiences shape what you are doing today? I took something different from each and every one of those experiences. It was interesting to me when I interviewed for this Learning Strategist job, I found that it was the easiest interview I have ever done, because for every question I had something in my background where I had an experience that was a foundation for what I’m doing today. When I was working as an Academic programmer at Western, I mainly worked with students there with their career/academic related questions. So, how to write resumes, how to write cover letters, how to apply to grad school, and all of the academic things that were associated with that in terms of, at a very basic level, getting good marks in their program so that they could apply to grad schools or how to tailor their academic program so that they could be eligible for a certain career path. It really made me see the student as a whole person. Even though my job was around academics, there are so many other things that are related to academics and students’ personal life and their professional life that I needed to take into account and you need to become proficient at. So, I did a lot of training around things outside of academics in order to help students. When I was teaching English as a second language in Taiwan, it was mainly to students who had master’s degrees. They wanted to come to North America or the United Kingdom in order to further their studies, do other master’s degrees or PhDs. So, in that experience, the most obvious thing that changed me is the cross cultural experience. It was my first time living in a non-English speaking country, and I was able to navigate that from my perspective. It helped me to now understand what international students that I see here are facing, because I’ve done that. I’ve lived abroad and I know what it’s like when everything is new and when you don’t speak the dominant language and you’re trying to find a place to live, figure out how the bus system works, and all of those things that come with living abroad. In my research career, I did a master’s and a PhD here at U of T and then two research fellowships in New Zealand and in Oshawa. For all of those research roles, I realized that it’s hard and there are lots of moments that you think ‘I can’t possibly do this.’ I learnt from successes and failures that you have to be persistent and you have to be patient. You have to persevere and make sure that you don’t take things too personally. When I meet with graduate students now as Learning Strategist, I can relate to the struggles that they are going through. For some of them, it’s with publishing and others it’s with conflicts with their supervisors or just getting through the process of defending a thesis or preparing for their dissertation proposal. I can share my personal stories with them and I can tell them ‘Don’t give up’ and ‘You can do this’ and ‘Even when you think that you don’t know what you are doing, you probably do.’ Most grad students are their own hardest critic. I can really help students with on-going support in terms of developing the skills that they need to keep going and to see the bigger picture. So, I think that all of the different roles that I’ve had are really a foundation in the most literal sense. I feel like I’m standing on a strong background and there’s a lot of diversity in my background. You are an Adjunct Professor at U of T as well as a Learning Strategist at the ASC. How do you manage your time and how do your interests balance in these two roles? It’s been a perfect marriage I have to say so far. I feel like I’m in a kind of honeymoon period and I hope it never goes away, because it’s really great. It is difficult with time management. I also have two young kids and a lot of preparation for my courses happens in the evenings after they go to bed. It’s a balance of taking care of my family, taking care of my courses that I am delivering, working as a Learning Strategist, and finding time to sleep. There’s a saying: ‘If you want something done ask a busy person.’ I think that that’s absolutely true in my case, because I do get a lot done because I have a very fixed amount of time. If I have to deliver a two-hour lecture tomorrow and I have four hours this evening to work on it, then I know I have to focus and I have to actually do it, because I’m going to be in front of a group of students in the morning. So, I need to get that done. The great thing about that balance though is that it keeps me relevant. It keeps me in tune with students. I know what they’re going through, because I’m putting my students through it as a professor. So when I see students as a Learning Strategist and they are talking about their assignments or their relationship with their TAs or all of these things, I am very well aware of what they are going through and I can give them advice on how to talk to their professors and how to talk to their TAs. Being a Learning Strategist also helps me as a professor, because, for example, I give workshops on oral presentation skills. I’ve done research on what are the best presentation skills, what is the best body language for communicating an effective message, what should your PowerPoint slides look like if you want students to really engage with them or you want an audience to really understand them. I’m learning all that stuff and then I’m presenting it to students in workshops and in my classes, and then when I go to actually teach I can incorporate the best presentation techniques. What inspired you to become a Learning Strategist and a professor? The professor path came first. When I was doing my master’s degree, I knew that I didn’t want to stop. I just wanted more knowledge and I wanted to get a PhD. I think most people who are in a PhD program, especially at this university, imagine that they’ll go on to teaching and research. So, those two things really were always there in the back of my mind as a long-term goal. Once I actually started teaching, so that was in my first year of my PhD, I realized that so often we ask students to do things that they are ill-equipped to do. In the first assignment in my first class, I asked students to give a presentation and I asked them to incorporate class discussion and I sat there in shock as the presenters were throwing Tim Bits at the audience in order to get them to participate in the discussion. They would ask a question and throw a Tim Bit and whoever would catch it was supposed to participate. I really had to put the breaks on and think about how can I not only teach them this course content, but how can I also teach them how to give a presentation and facilitate an academic discussion? From my very first course as a professor, I was always incorporating teaching about learning as well as teaching about course content. I was always incorporating those mini workshops on writing and presentation and how to do research. I realize now that’s what I was giving. I incorporated that into the course content, because I found it to be an injustice to ask them to do something, watch them fail, give them a bad mark, and then call it a day. I wanted my students to be successful and I knew that these are the skills that they would need in my course and beyond. It was also inspired because of my background teaching English as a second language and as an Academic Programmer at Western. Both of those things came before I went to grad school and before my first teaching experience as a professor. I guess I had that foundation already and realized that learning is much more than the course content and you need to create a culture and you need to teach students the actual skills and ability to be self-reflective that they will need in their careers and in their life. There’s a gap in the education system. So, I try to fill that gap. 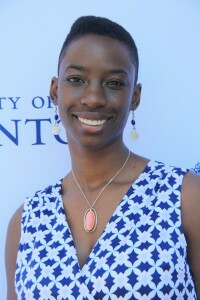 Stay tuned for our next blog in which Janelle reflects on her time as a grad student and shares some useful tips!